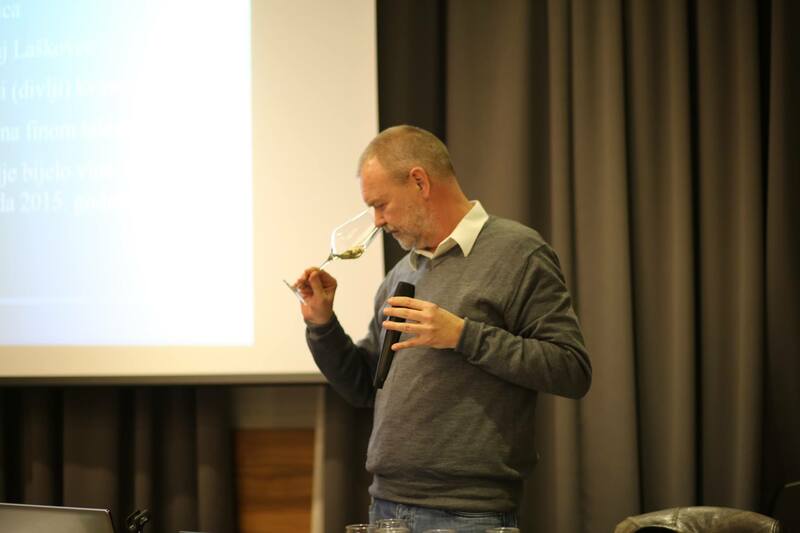 ... those words Ivo Kozarčanin, Alias Bakh's son opened Master Class Workshop in the frame Vinart Grand Tasting a festival on Rhine Riesling, varieties that many of us in our area are not experiencing seriously. The first is that there is a real confusion with the names, and the vinohips are often replaced rizling rajnski for graševina because some varieties called graševina also contain word rizling! So there are also three authors by Jancis Robinson, Julia Harding and José Vouillamoz of the extensive wine guide Wine Grapes: A Complete Guide to 1.368 Vine Varieties, Including Their Origins and Flavors advocates for the name Riesling, and to stop using names like Riesling, Welschriesling, Wet or Italian Riesling and the like because, at the end riesling or rizling rajnski is a completely different cultivar and has a completely different climate and naturally different characteristics. Another reason was the unexpected drop in the popularity of riesling in domestic vintners and, consequently, by the local wine-shop: it was thirty years ago the most varied variety on Croatian hills and justified its status the most important wine varieties in the world, as rated by Jancis Robinson, the famous wine expert in the book Vines, grapes and wines from 1992. year in front of the favored chardonnay and other cultivar varieties. However, the Rhine Riesling at home-made vinopsis sprang up in front of acids with lighter wines such as malvasia, spice and, of course, grated cheese, because they made it (riesling) as a young and fairly sour wine. 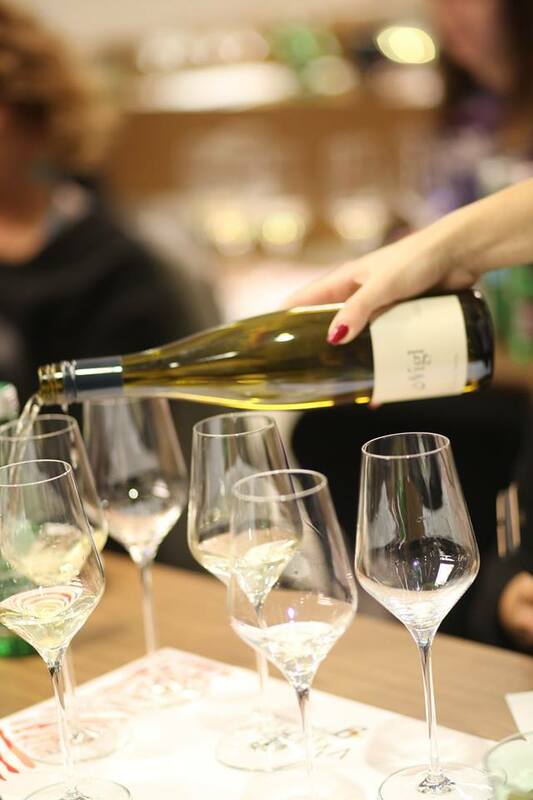 Riesling is a variety in which it is possible to achieve an ideal ratio of sugar and acid, greatly contributing to wine-growing positions in warm days and cold nights such as Plesivica and the gentle Slavonian hills. 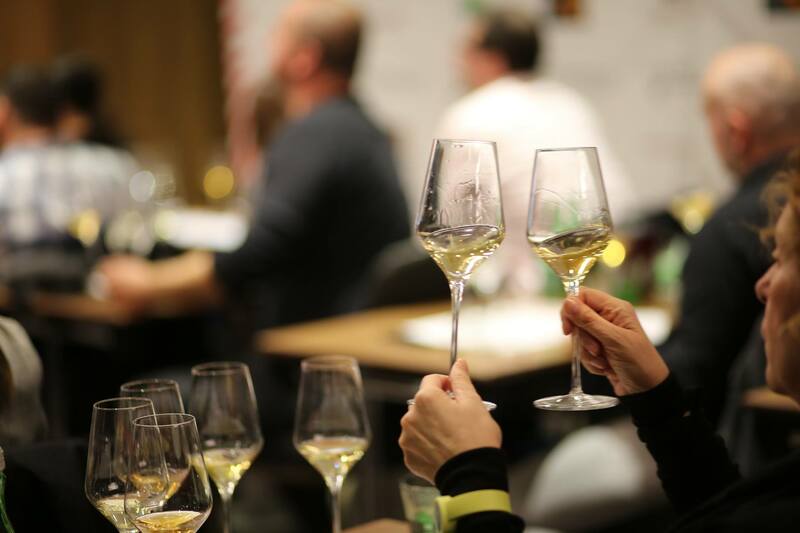 Little persistent wine-growers and winemakers turned to the production of high-quality Riesling Riesling products, and in the last two to three years there are other stylists of young, scented and fresh wines for everyday consumption. Bacchus je without made a carefully conceived section of everything that had been up to now and placed on the table an 11-year-old wine-tasting football club - a team made up of young and old wines - from two Croatian wine regions and, as in every team, one stranger was hiding among them. 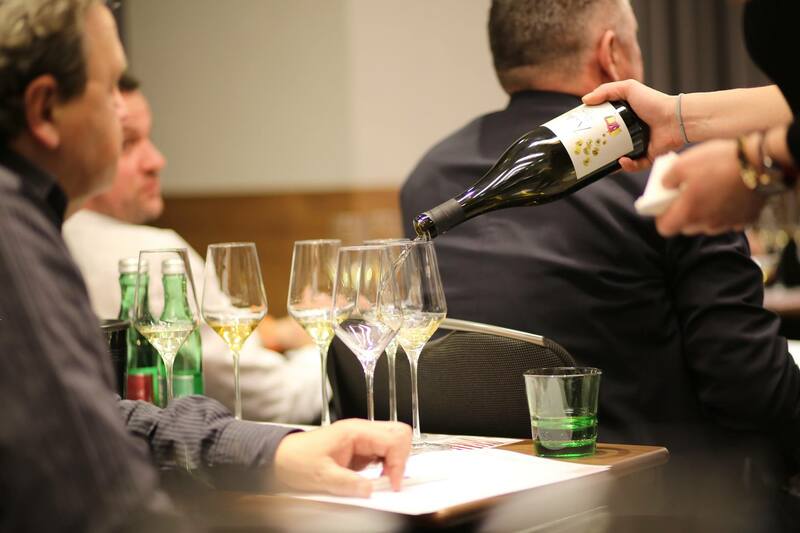 The presentation has begun, as well as pretty, with brute sparkling wine virtue which is produced in very small quantities Feravino by a classic method of boiling in a bottle. Brave, because the rye flavorings are difficult to break through (encapsulated) yeasts. Elegant and long beading, gentle fruity flavors with bread and almond bread and light bitterness in the afternoon introduced us into the lavish world of Rhine Riesling. From Slavonia, Kozarčanin took us to Plešivica and announced that the team skeletons would be making wine that goes down the mountain (and vineyards) near Zagreb. In the hamlet of Lukošin dol, on the Plešivica wine road Robert and Sanda Braje they continued the 150 years of old family tradition and with the help of the family managed successfully the agricultural and tourist economy focused primarily on wine production, but also by own breeding of vegetables and domestic animals, and with the process of milk and meat processing. It's theirs Rhine Riesling iz 2017. produced by short-term maceration (overnight only) and expected fruity aromas, sweet, full and long-lasting flavors that would match the homemade purée with mica. Mladen Papak there is still one in a series of oenologists who, after the career of the chief oenologist and director of Ilochi Cellars, decided to build an independent career and set up a winery that grapes on 13h in its own vineyards at the site Rados, or Radoš hill, where there is a basement with a hut. Except for bitterness after breaking up with the cellars, Papak chose 2014 for the first year. one of the worst years for domestic winemakers in the last decade. But with a sharp look at his life, he decided to turn it all over to the joke, so on the labels, the pork stew that came out of his sleeves and held a glass of wine from the position that Mladen claims to be as good as the craftsman Principovac or Vukovo. Rajnski rizling Radosh 2017 best describes the love that Papak does not hide in Rhine Riesling, which he thinks is better in breeding conditions than in Germany because he does not have so much rain and can fully recover. Creamy, neither sweet nor sweet, this half-sweet riesling is perfectly balanced: sugars acidify and 7g acid reduces sweetness! Real moselski riesling that is worth drinking along with a bowl of hot pepper. 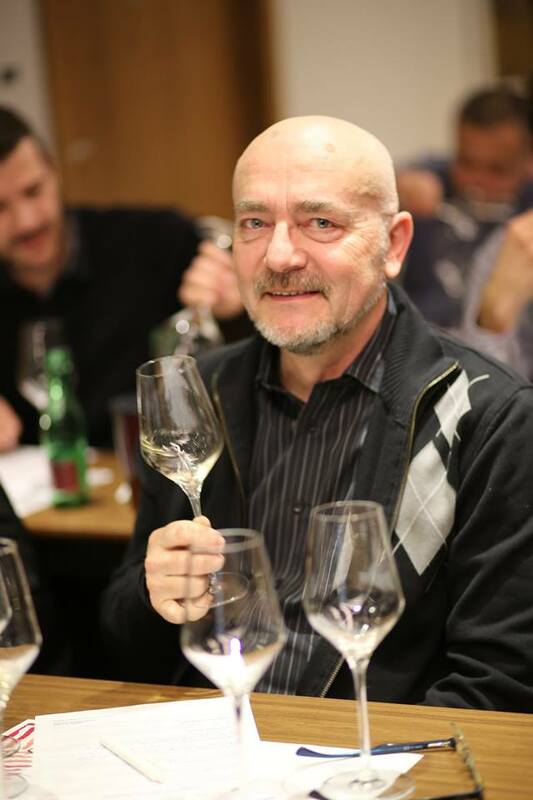 After Brace, from Plešivice he came to the tasting glasses Kolarićev Coletti Rajnski rizling sur lie harvest 2016, a completely different, almost unrecognizable wine that riesling lovers generally do not like because it is too much to chardonnay. Still last year was too young - smells looked like on ZET's bus - but today it is a ready-made wine that burgundy wine-making technology without overlapping on its own leaven ensures longevity. Vinegar peaches and apples are competing with breadcrumbs, and a strong taste and a whole body guarantee good fun with white meat and lighter sauces. Every year Franjo evokes better and better wines, and some, like this, deserve to be tested. What an eleven of them would be that there was not at least one stranger among them. Ivo chose Nigl Riesling Dornleiten iz 2015. year, and of course, hit: real riesling, dry and aromatic. The yellow fruit and flowers, the masculine and the light odor of the petroleum on the nose, are the introduction to the palate. Expressed Minerality, Very Fresh, Balanced Acids and Sugar Nigl Riesling was presented as an amazingly complex white wine. The vineyard is run by Georg and Helena Nigl's spouses, and they produce autocratic wine characterized by the Kremstal region, avoiding the use of any treatment agents, sulfur in minimal quantities only if necessary and not using industrial yeasts. They try to intervene less in natural processes and give the wine time to find their harmony and balance, so all their true wines carry the label - natural. After the original Riesling seemed difficult to find the right answer to the apparent wine provocation, however Korakov Rajnski rizling iz 2011., long macerations and educated on fine soil, won me on my first honey honey aromatic aromas. However, it was necessary to leave it a little longer in the glass and warm up so that the initial roughness would spring up in front of the elegant sweet, primordial fruity and then the floral aromas, to which the brilliant continuation of the already mentioned (meadow) honey continued. This eight year old is best proved that Rhine Riesling is the best variety for long-term storage and bottling. The family winery Step has for years been at the very top of our wine scene, possessing about 6 of its own vineyards, and the father and son, Velimir and Josip shared their debts: Velimir takes care of the sumptuous calms, and Josip about the excellent sparkling wines. Iz magnum with a label MMX on the label in the glasses we got Rhine Riesling of Šember intense colors of old gold, also from 2011. year that everyone agrees that it was a really big year for Croatian winemaking. Grapes from vineyards Popov hill are characterized by slightly higher sugars, but with a strong body of balanced acids and minerals. The aromas of ripe white truffle fruit are an introduction to soft more alcohol, rich and rounded tannins of fine tannins - long-lasting maceration, aging on fine soil and years of schooling in the 1,5 liter bottle have contributed to this great orange wine. For centuries, the pleasing brewers take their breath away, but when you come to the family farm of Šember, where all the members of the family participate in the production of the finest peaceful and sparkling wines, they will feel like kings. 1991. they first put out the first wine under their label, six years later they made the first sparkling wine with a classical method, and 2011. they started with amphora (qvevri) wines, in which the Rhine Riesling proved to be an excellent choice and they are 2014. also produced a sparkling wine of riesling lying in the amphora. 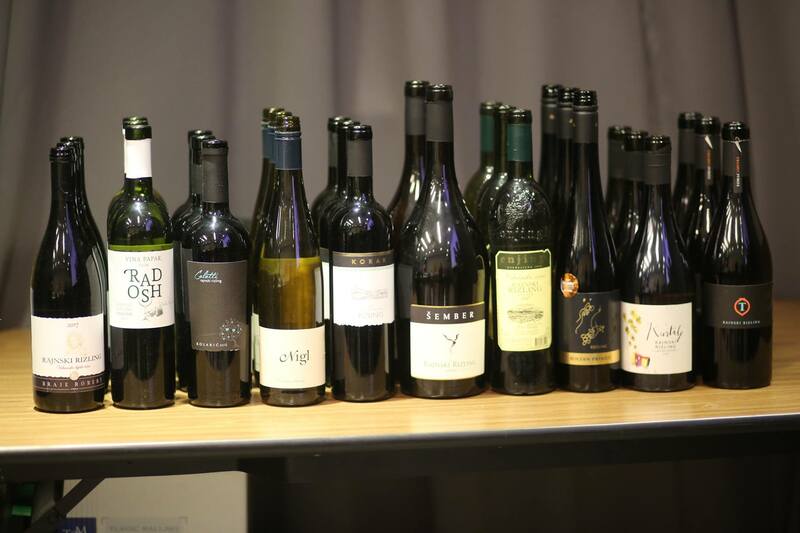 They say that they try to spend as little time in the basement and let the wine come to an end - judging by the quality, in the vineyards Pavel, Bresnica, Vučjak, Starjak, Mladina in the vicinity of Donji Pavlovac Zdenko, Nikola and the other Šemberi obviously spend a lot of time! 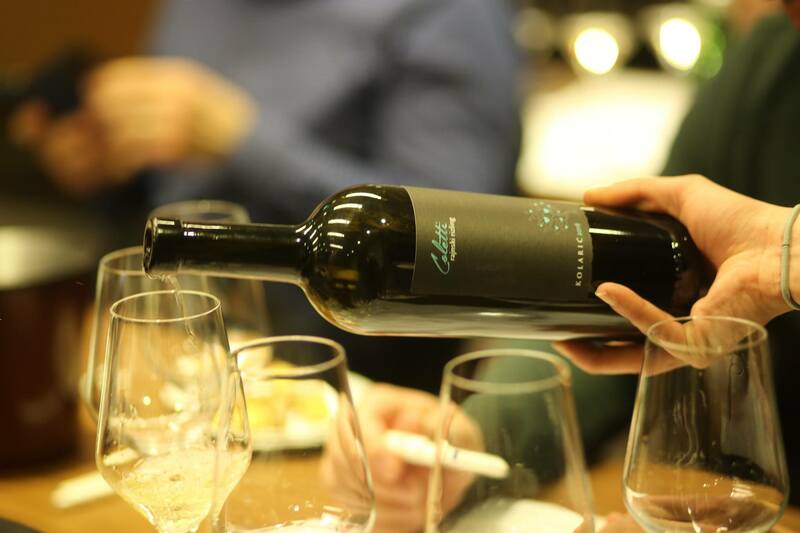 Tomislav Bolfan, a biologist in the vineyards on the slopes of the Zlatarski Vineyard and in the wine cellar of the Wine Peak, produces two series of wines, the standard and the other, the first among the prizes named Primus. Rhine Riesling from 2015. from this series, it is characterized by its very body as a result of fermentation on its own leaven, long-lasting maceration and degradation in the basement and bottle. Very creamy, mineral, full of aroma of priceless fruit and flower flowers. It's already enjoyable, but with the potential to stay still safe 3-5 years. For the rest, there are two more rieslings from Plešivice: macerated vintage 2017. Drage Kurtalja wins the honey on the first one in the mouth, and then in the aftermath comes the bitterness, a combination that either excites you or throws you out of the way. Dried white fruits and vineyards from the nose quickly moved to the palate, and then the mouth filled with lime honey. The groves from Hrvojka, Stošinec and Veselnica become wine in the basement of the oldest family house on Plešivica in old oak barrels, and more and more Kurtlaji turn to the production of sparkling wines. Zucker kommt zuletzt: The very elegant Riesling from amphora (vintage 2011.) Zvonimir and Tomislav Tomca, in the same way as Enjingije's late harvest, showed how many different faces this can have a corpulent and strong wine. It was made by maceration in the 6 months amphora and then studied in wooden barrels about one year and a half, unfiltrated. Crystal glossy amber colors rich in fruit aromas of peach and grape harvested. This orange full bodied wine is very intense and long in mineral and herbal flavors, and it is a real paradise for sommeliers, because the possibilities of matching with food are almost limitless - my first choice would still be roast veal. Tasting went into extensions as well, and 11 mostly of great, premium wines deserved to be tasted tired and enjoyed in every smell, taste and color. If you are not a riesling fan, you will not be disappointed if you decide on any of the presented wines.